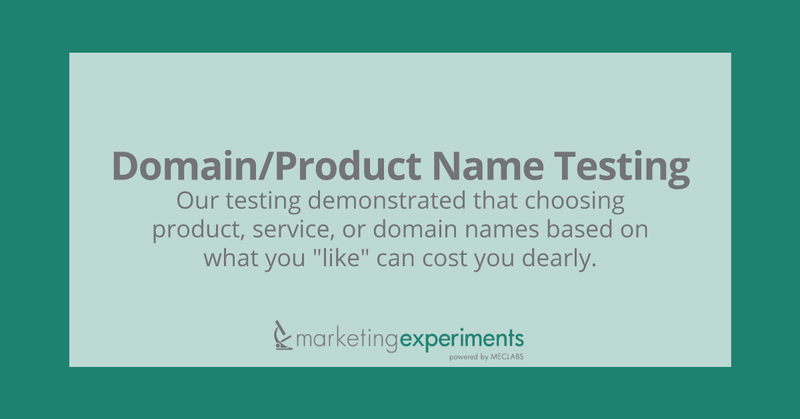 We conducted two distinct series of tests: One for a product name and the other for a domain name. In both cases we learned that being “intuitive,” being an “expert,” or just plain guessing is not enough to tell you how your prospects will respond. The name you give a product, service or web site can have a significant impact on the number of people who click through from a link to find out more. Regardless of your level of expertise, you will not and cannot identify the name that will generate the most click-throughs, unless you test. You will find out that testing product and domain names is just the first step, giving you important insights into the words and phrases that trigger a positive response in your readers. Step two is to apply that learning to your headings, subheads, bullet points, links and email subject lines… and then test those as well. Regarding the means by which we tested these names and domains, we used Google AdWords. By changing just one element across a series of otherwise identical ads, we were able to measure the differences in click-through rates. Google AdWords is a simple, inexpensive way for you to conduct similar tests for your own company. We wanted to determine which of these domain names best “connects” with a buyer’s expectations. To do so, we utilized a feature of Google AdWords that allows you to rotate a number of ad variations. Each Google AdWords ad was identical other than the domain name listed in the ad. Each had the same copy, the same headline, and the same fifteen keywords. All five ads had the same maximum per-click bid ($0.31). Because all of the other elements were the same, we determined that the ad with the best click-through rate (CTR) would indicate the best domain name. What You Need To UNDERSTAND: ComputerHardwareDepot.com performed the best (0.6% CTR), followed closely by BuyTech.com (0.5% CTR). Because these ads had a higher CTR, they tended to maintain a higher average position for a lower average cost per click (CPC). The implications of this simple test are quite powerful. Using Google AdWords Select, a savvy marketing team can, in a sense, “see into the mind of the consumer.” They no longer have to rely on guesswork or “personal favorites” to try to predict which domain name will perform the best. KEY POINT: Personal opinions or intuitions about the best name are often wrong. There is no substitute for actual testing. The best names for a new product or service offering (see below). The best Unique Value Proposition (UVP) for your overall business. The most effective sales copy. In the balance of this report, we will focus on how to test product and service names to determine the name with the best market potential. In our second test, we wanted to determine the best product name for a new financial product. We initially tested a broad range of product names through Google. Here, we varied the actual title of the Google ad, while keeping the body copy, domain name, and keyword bids the same for all 22 ads. 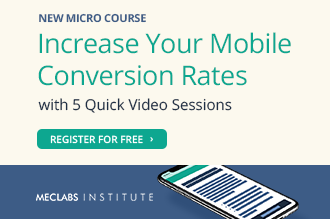 What You Need To UNDERSTAND: The result of this micro-test showed that “StockScreener 5.0” generated a 17% better click-through rate than the next-best name. The name is highly descriptive. The “5.0” suggests that it is a mature, well-developed software product. What You Need To UNDERSTAND: “PowerScreener 5.0” generated a 6% higher click-through rate than the next best ad title. Both of these tests indicate that the “5.0” placed at the end of the product name was a significant factor contributing to increased click-through. What You Need To UNDERSTAND: Our live audience overwhelmingly chose “Investment Profile Library” as their favorite name. What You Need To UNDERSTAND: “Investment Profile Subscription” performed 9% better than the worst phrase (“Investment Profile Library”). Both descriptions that included the word “subscription” performed better than those that had the word “library” instead. KEY POINT: Altering just one word can have a significant impact on the performance of your product copy. Our clinic audience intuitively picked the description that actually performed the worst in PPC testing. In the process of testing, we were able to increase performance by 9%. What kind of an impact can a 9% increase have on your bottom line? What You Need To UNDERSTAND: A nine percent increase in CTR would yield 394 additional customer acquisitions in one month, assuming that conversion rate stayed the same. What You Need To UNDERSTAND: A nine percent increase in CTR could amount to well over a million dollars in increased revenue in one year. KEY POINT: An increase in overall CTR or conversion rate can have a tremendous impact on your business, especially at high volumes. Now you can see the extraordinary impact that just a 9% increase can have for your business, and why testing for the best-performing name is so important. If you have a strong brand already (e.g. Reuters), the test will yield more accurate results if the ads themselves do not have a brand name in the title, URL, or copy. People see a see a strong brand name and just click on it. It is an advantage in actual PPC campaigns, but does not work well if you are using PPC to test the name.We believe that the strength of the brand overpowers the rest of the ad, making the subtle changes in the copy less significant. However, if you do use a strong brand name in your name-testing ads, make sure to use it in ALL of the ads, and expect to gather more data before accurate results become apparent. Unless you disable this feature, Google will automatically start to serve only the ad that is performing the best. 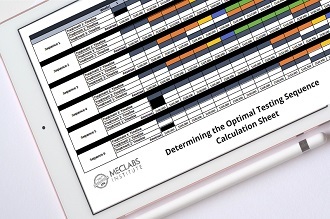 This will skew the results of your testing. You may want to initially test names that vary dramatically from each other. As you begin to learn what overall approach works best, begin to drill down to slight variations of the best name. Be aware that the search terms someone uses to find a particular ad may affect the click-through on that ad. For example, if the term “stock picks” is driving the majority of the test’s traffic, the name “Stock Picker 2000” would naturally be more relevant. 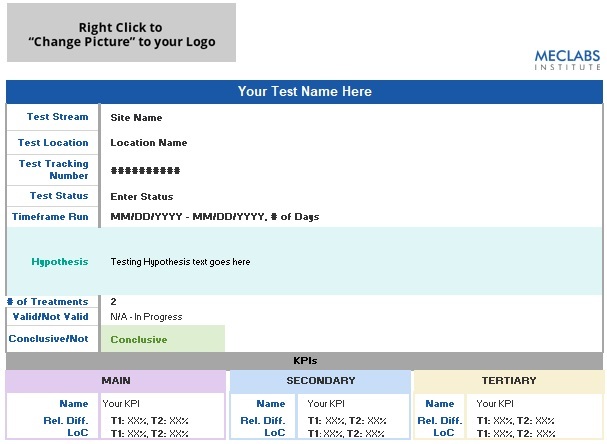 Monitor your keyword selection closely to ensure the legitimacy of your test results. Start with names that are naturally descriptive, easy to remember, and which indicate the value proposition of the product or service. In the case of a digital product, try to create names that denote tangible value. 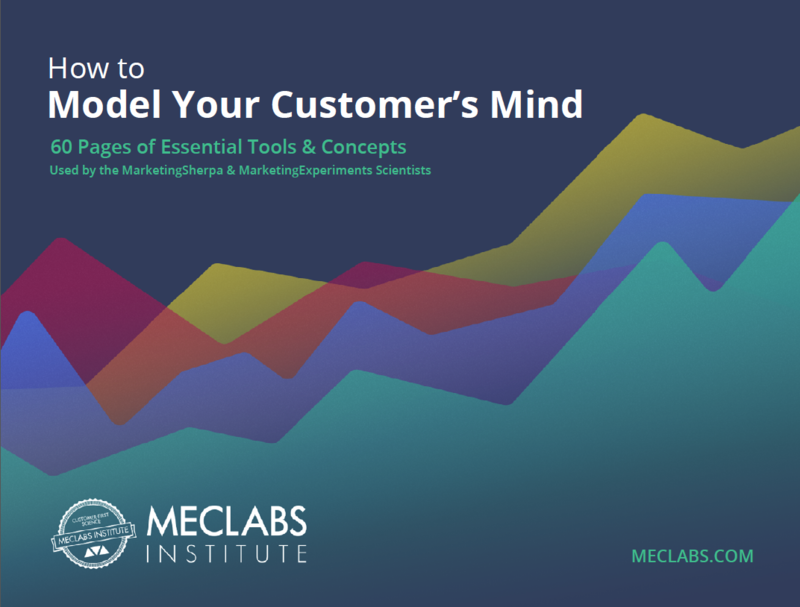 Consider the marketing value of the name when interpreting the initial test results. If during the PPC test one name receives a higher click-through, then one would naturally assume that it is the best name for the product. However, make sure also to think about the offer page that will sell each product.In other words, keep in mind that the ad with the highest click-through rate is not automatically the ad with the highest final conversion rate to sales. Additional testing — through to the point of final sales — will tell you which is the highest-converting ad. Think about how the product name relates to your company name or to other products that you currently sell. Do they mesh well? Is there a natural brand connection between your product name and your company name? Utilizing this Google AdWords name-testing technique, and keeping in mind the above guidelines, you can select names for your products and domains that will yield the greatest traffic and performance.sales And as you can see, you don’t need to spend a fortune or an eternity to get there.